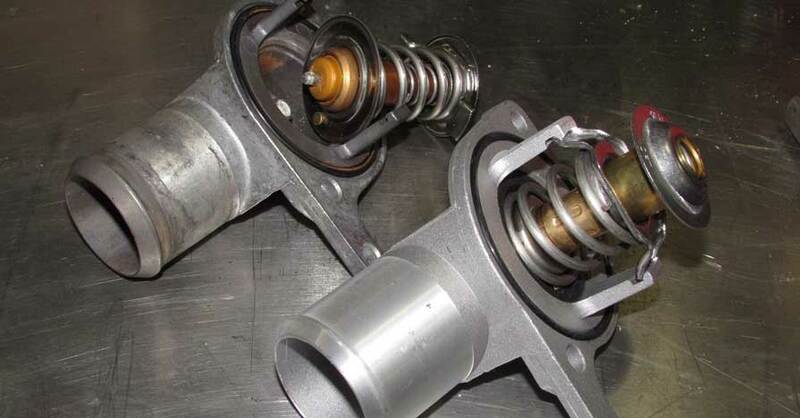 A thermostat that is stuck closed will quickly cause your engine to overheat. When the thermostat gets stuck open, your engine takes considerably longer to warm up. You will notice this in the winter because the heater will blow ice cubes out of the vents and your toes will go numb, not exactly happy fun times. So what exactly is a thermostat in a car? Keep reading to find out what the thermostat does along with a few thermostat replacement tips. A thermostat is a temperature-regulator in the form of a valve located between the engine coolant outlet and the radiator inlet. The thermostat stays closed below a specific temp, typically between 180-190 degrees for most cars. 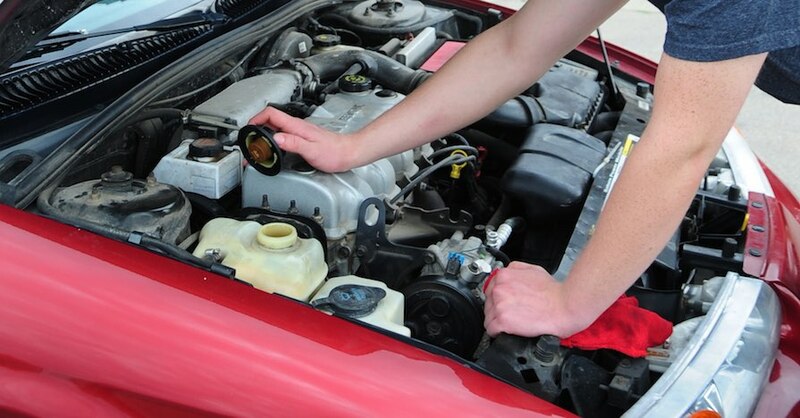 As the engine temperature reaches the specified temp, it begins to open, allowing hot coolant to flow into the radiator, pushing the cool fluid into the engine, reducing the engine’s temperature. 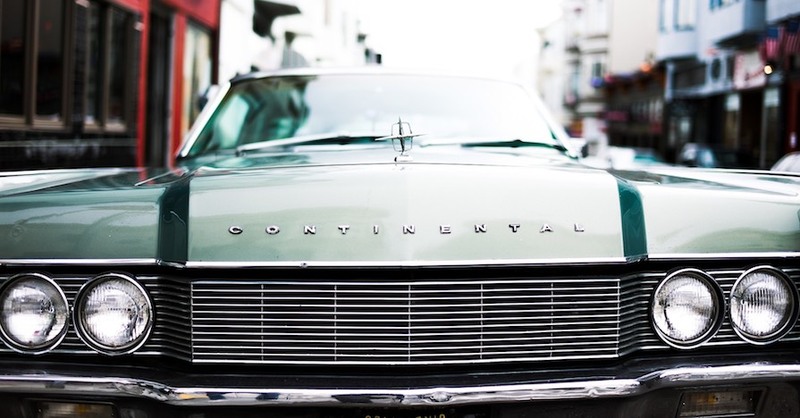 Eventually, these equalize and the engine’s cooling system is in full force, maintaining the preset temperature which is usually a few degrees above the thermostat’s set temp. How Does A Thermostat Fail? There are three ways a thermostat fails- stuck closed, stuck open, slow/partial open. Most of these can be determined by watching your temperature gauge. Stuck closed – This is the worst case scenario. 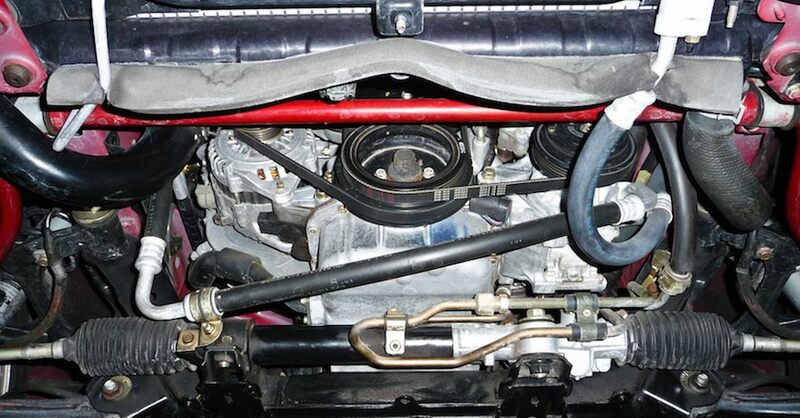 If the thermostat is stuck in the closed position, your engine will overheat. This is not the only potential cause of overheating, but it is a very common cause and should be the first place to look. Stuck open – When you start your car after it has been sitting for several hours, it has to warm up. The colder it is, the longer it will take to warm up. In the dead of winter, this should normally take just a few miles. If the engine takes much longer to warm up or doesn’t warm up at all, the thermostat is most likely stuck open. This may be less evident during the warmer months, but it is important to watch the gauge. 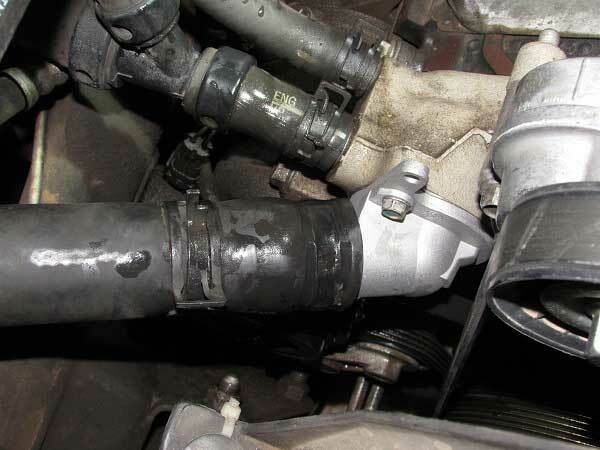 When the engine is not up to temperature, the engine’s computer stays in “open loop” run mode, which is not the most efficient operation of your engine, as the ECM does not read the oxygen sensors. When the engine’s run temp reaches the preset temp, the computer goes into “closed loop” mode and starts reading the oxygen sensors. This makes the engine run more efficiently. 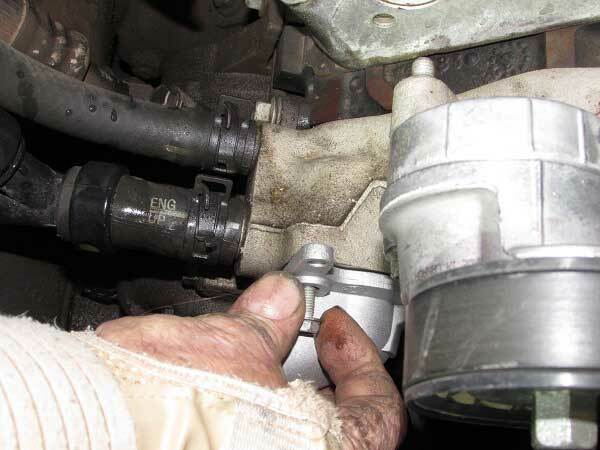 Slow/partial open – If the thermostat is slow to open or only opens part way, the engine will run hotter than normal. Eventually, the thermostat will fail with catastrophic results. If the unit is stuck open, you will see it right off. The spring will be compressed and the plunger will be pulled away from the body of the unit, exposing the hole in the center of the housing. 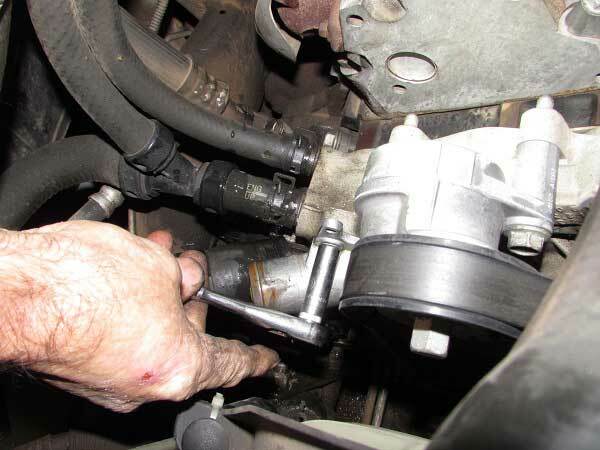 For a stuck thermostat, a quick way to test your thermostat is to remove it from the engine and drop it in a pot of hot water. The key here is to boil the water and then take it off the burner, letting it cool just enough for the bubbles to stop. Drop the thermostat into the pan and watch it. The plunger should quickly move, opening the unit. If it does not, it is stuck. Drain the cooling system completely using the radiator petcock. This is a petcock, usually located at the bottom of the radiator on the side. 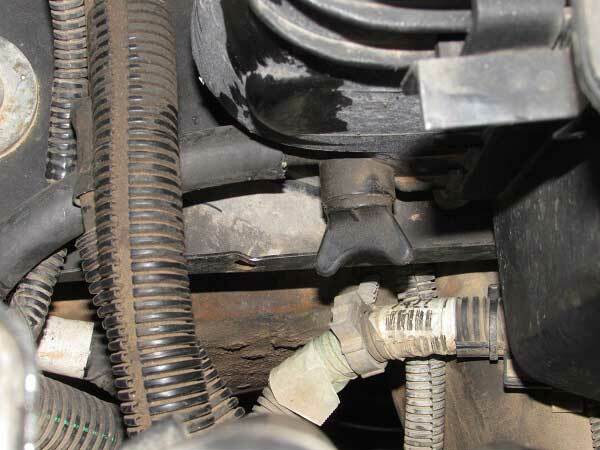 Sometimes it is possible to attach a hose to the radiator drain to help reduce the mess. Capture as much coolant as possible, do NOT just let it drain on the ground, dispose of it properly! 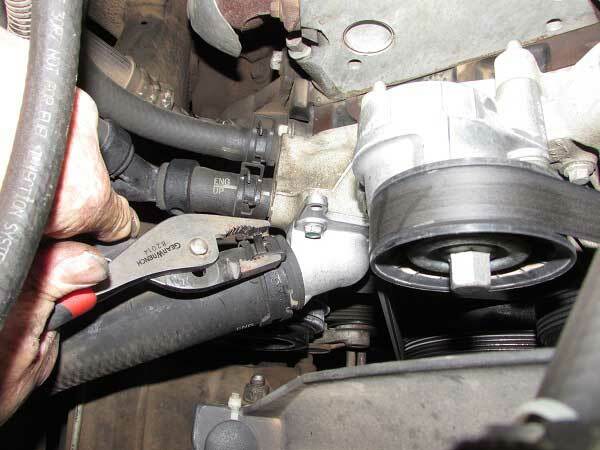 Adjustable pliers work just fine to squeeze factory hose clamps, but for tight places special hose clamp pliers are the ticket. The water neck is typically secured with two to three bolts. 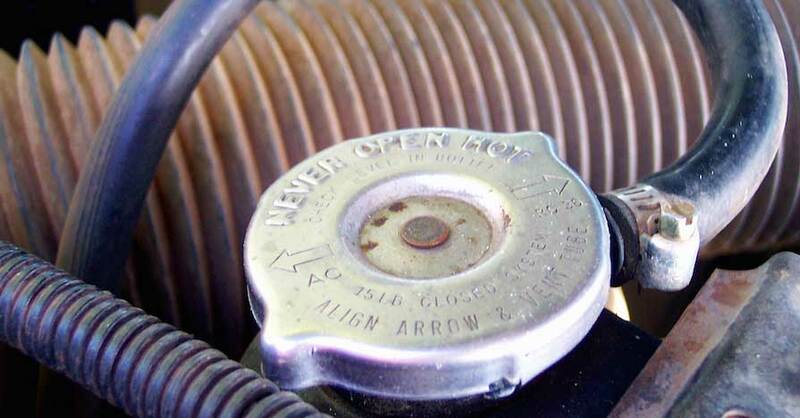 Be careful not to break the bolts, these often corrode and rust. Use penetrating oil if they look crusty. 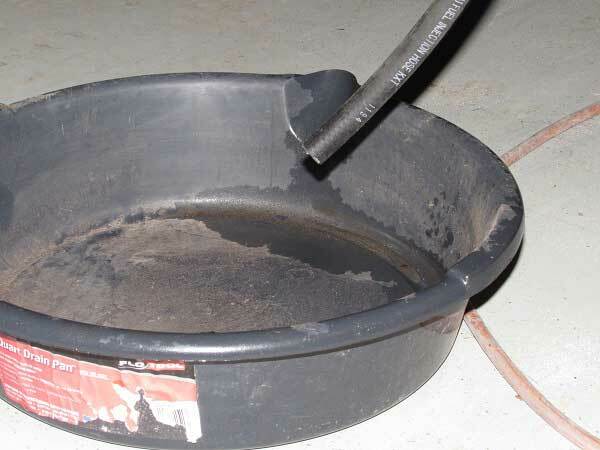 Be sure to place another catch pan under the water neck area, because you will likely have some more coolant spill out. Always compare the old part coming off with the new part going in to make sure they match. The old thermostat (which broke) is on the left, the new one is on the right. When you start putting things back together, use some anti-seize on the original bolts to ensure they can be removed again in the future. Now is a good time to check your hoses for wear. The walls of the hose should be fairly stiff; it should not be soft and mushy. This one was in good shape, so it was reinstalled. 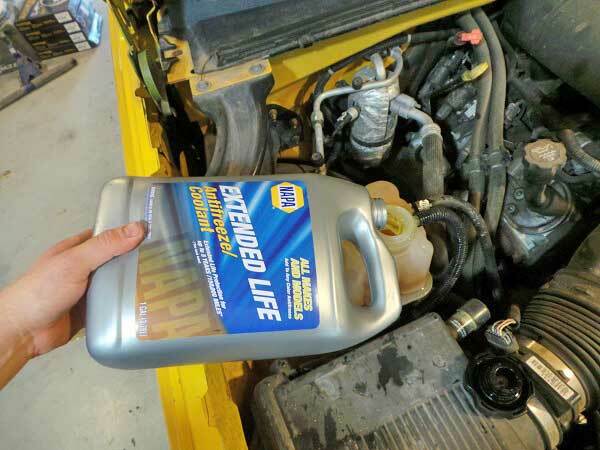 Always refill your cooling system using the manufacturer specified coolant type. Refer to your owner’s manual when in doubt. 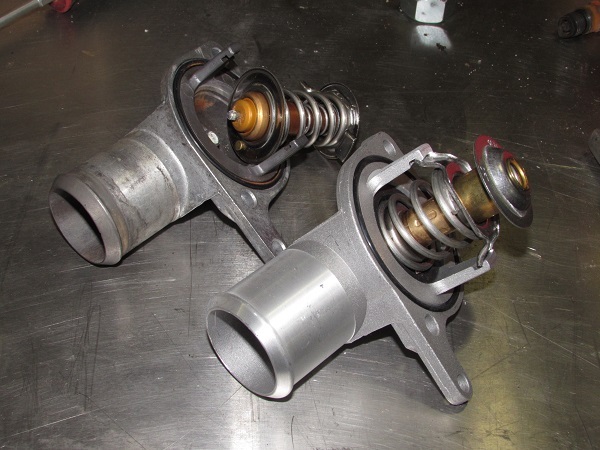 A malfunctioning thermostat can ruin your driving experience, not to mention blow up your engine. Be sure to keep an eye on the temp gauge, you never know when the thermostat could go out. Check out all the heating & cooling systems parts available on NAPA Online or trust one of our 16,000 NAPA AutoCare locations for routine maintenance and repairs. For more thermostat replacement tips, chat with a knowledgeable expert at your local NAPA AUTO PARTS store.